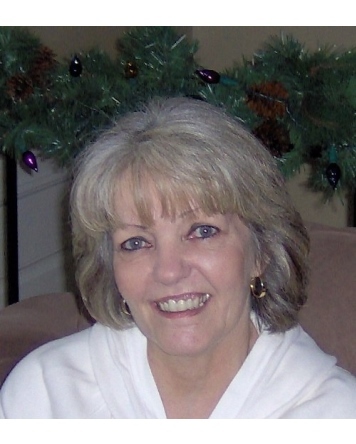 Barbara Jo Mandell, age 71, passed away on October 29, 2018. She was born on April 22, 1947 in Philadelphia, Pennsylvania to David and Josephine Crabtree. She grew up in Feasterville, Pennsylvania and later moved to Lakewood, New Jersey and Howell, New Jersey. She graduated from Lakewood High School in 1965. She later became a legal secretary for Edward M. Rothstein, and, thereafter, for Rothstein, Mandell and Strohm. She was a member of the Episcopalian faith. Barbara enjoyed homemaking, working as a legal secretary, visiting with family and friends, traveling, pencil drawing and being a consummate wife, mother and grandmother. Barbara is survived by her husband, Charles Mandell of Kissimmee, Florida, daughter Kim Johnson of Kissimmee, Florida, daughter, Beverly Loya (Allen) of Brick, New Jersey, son, Jason Mandell of Ocean, New Jersey, grandchildren Joseph, Marla, Drew and Cameron, sister, Dorothy Jo Rennick (Peter), cousins Patty Livingstone (David), Nancy Stanton (Terrence), and John Edwards. She is predeceased by her father, David Crabtree and her mother, Josephine (nee Frederick) Crabtree, her sister, Vida Jo Cusick (Steven), and her cousin, Linda Martin (Frank). Arrangements are under the care of CONRAD AND THOMPSON FUNERAL HOME 511 Emmett St Kissimmee, FL 34741 (407) 847-3188.